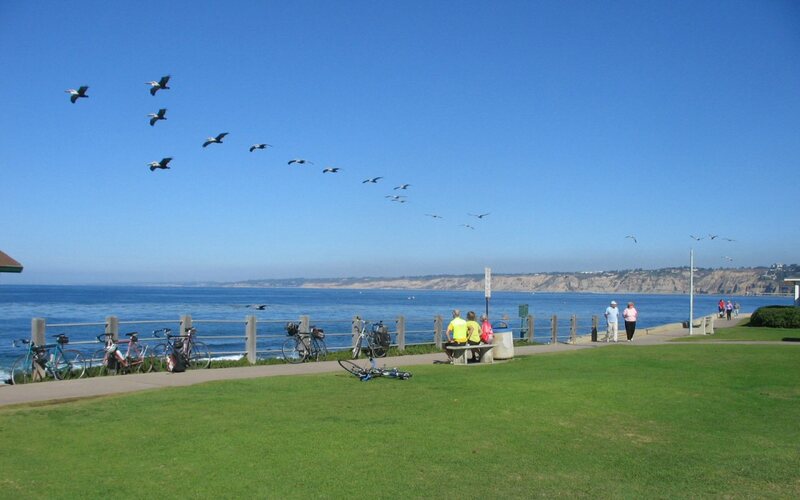 Bicyclists pause at scenic La Jolla Cove at 11:55 AM on November 30, 2005. Please e-mail comments, corrections and additions to the webmaster at pje@efgh.com. Varied terrain, from flat to mountainous. Bike lanes on most of the newer highways, and on many of the older ones. Local bicycle education and advocacy organizations. Bicycle velodrome in Balboa Park. Bicycle shops and other bicycle businesses. If your screen size is not included, download the original and use some photo editing software to make an image of the correct size by cropping it and/or shrinking it, or ask the webmaster for a particular size. 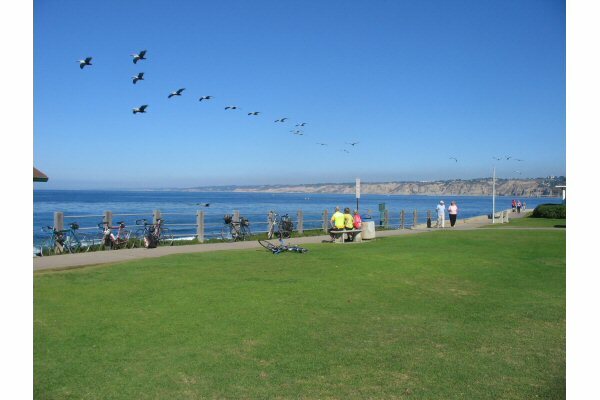 If you set the wrong size as a desktop background, the image quality may suffer when the operating system resizes it. 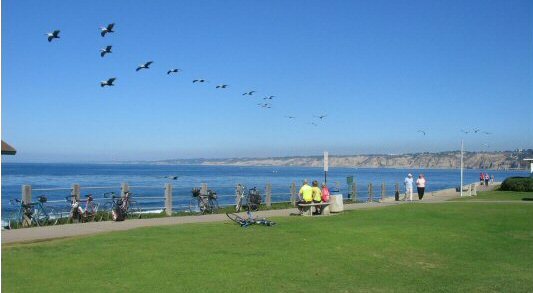 The 2007 San Diego Region Bike Map is available online. Go to www.icommutesd.com and navigate to "Bike to Work". Printed copies may also be available at some bike shops and other locations. Scanned topographic maps for San Diego, Orange, Imperial, Riverside and San Bernardino Counties are available online at www.efghmaps.com. These are public domain images in GIF format with no restrictions on use. 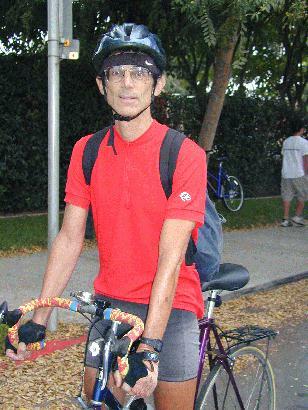 This website is brought to you by Philip J. Erdelsky, a resident of San Diego since 1969, and a bicycle rider since about 1974. Visit my home page at http://www.alumni.caltech.edu/~pje/. E-mail comments, corrections and additions to me at pje@efgh.com. Photographs of the webmaster. Click on description to display photograph. El Tour de Tucson on November 23, 1996. 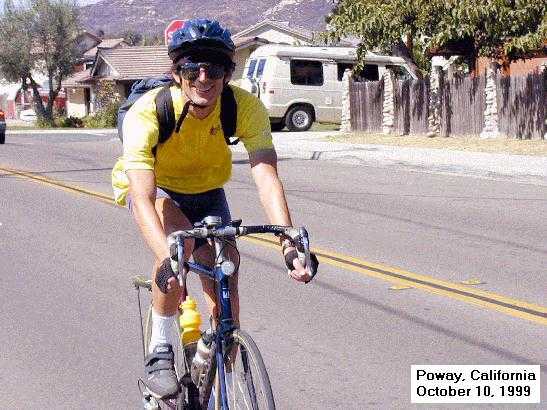 Tour de Poway on October 10, 1999. 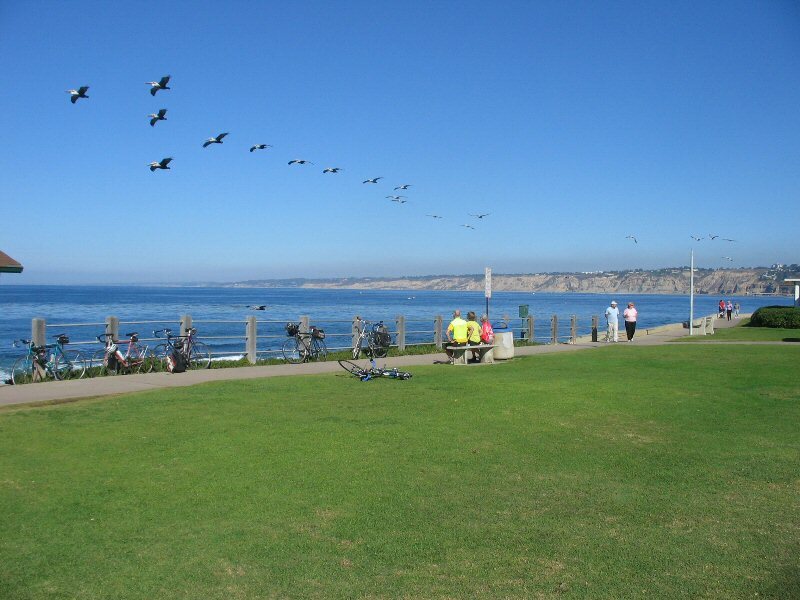 Tour de Poway on October 8, 2000. 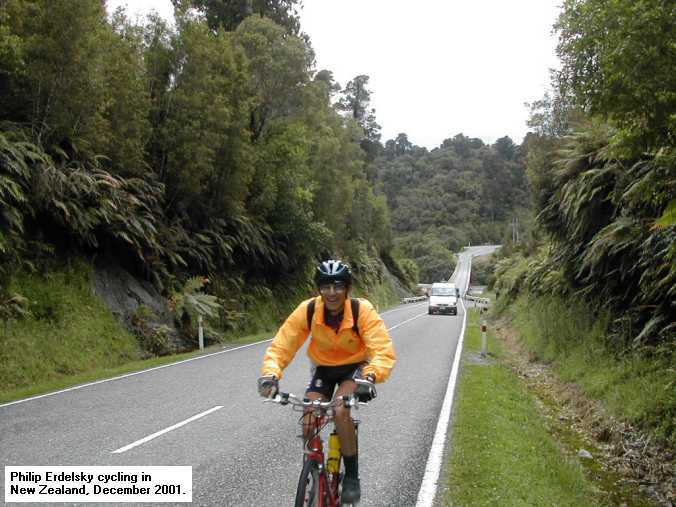 Cycling in New Zealand, December 2001.